Living The Nerd Life — Full Color Look At Ben Affleck As Batman In Batman V. Superman? Full Color Look At Ben Affleck As Batman In Batman V. Superman? 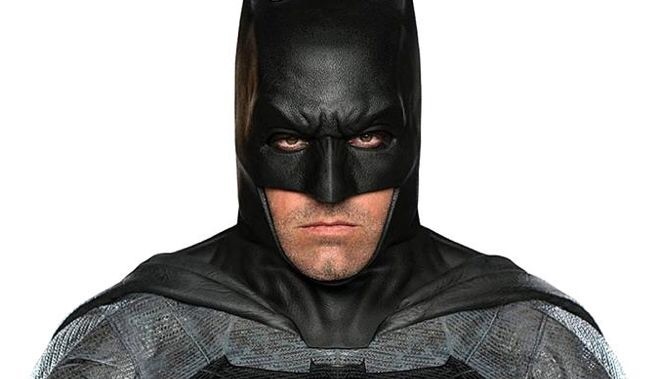 A new full color look at Ben Affleck as Batman in Batman V. Superman: Dawn of Justice has surfaced on JPosters. The image is very similar to the officially released Batman IMAX poster for Batman V. Superman: Dawn of Justice, except it shows more of Batman's costume and is in full color. We've embedded the poster below. Batman v Superman: Dawn of Justicestars Henry Cavill in the role of Clark Kent/Superman, Ben Affleck as BruceWayne/Batman, Gal Gadot as Diana Prince/Wonder Woman, with Amy Adams, Laurence Fishburne and Diane Lane returning from “Man of Steel,” Jesse Eisenberg as Lex Luthor, Jeremy Irons as Alfred, and Holly Hunter in a role newly created for the film.